Soul. Blues. Gospel. Beatles-worthy pop. 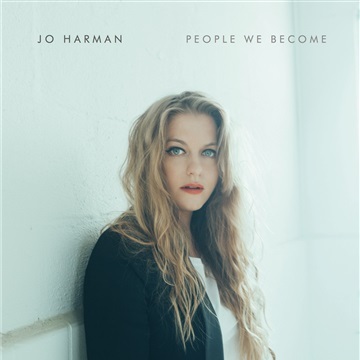 These are the core ingredients of Jo Harman's People We Become, a modern album rooted in the classic, timeless music of past generations. "I'm not trying to fit in anywhere," admits Harman, whose super-sized voice fills the record's 10 tracks. "I'm just trying to write classic songs, and present them with classic production. When you try to chase what's going on at the moment, then it's going to sound old very quickly." Raised in Southwest England, Harman found success on her own terms with her debut, Dirt On My Tongue. The album was released independently in 2013 and supported by a touring schedule that found Harman sharing the stage with icons like Patty Smith, Joan Baez and Sinead O'Connor. Wildly successful for an independent record, Dirt On My Tongue was embraced with particular devotion by the blues community in the U.K., with Harman racking up more than a half-dozen nominations from the British Blues Awards. Looking to expand her horizons beyond any single genre, though, she began teaming up with her longtime co-write, Mike Davies, to write new songs that took their cues from some of the classic artists — including Carole King, Cat Stevens and David Bowie — whose music had filled her childhood home. She wasn't looking to be a throwback artist; instead, she was narrowing her focus to the building blocks of ageless music, from powerful melodies to organic, natural-sounding arrangements. Released worldwide on February 3, 2017, People We Become marks the biggest leap of Harman's career. To make it, she headed overseas to Nashville, Tennessee, where she found a trusted collaborator in producer Fred Mollin. While a winter storm raged outside, Harman and Mollin holed up inside the city's famed Sound Emporium Studio for three weeks, focusing on a warm sound — full of upright piano, Rhodes, unaffected bursts of electric guitar, and the soulful sweep of Harman's voice — that contrasted with the town's snowy weather. Shortly after the album's release, she'll return to Nashville again, this time as part of her first American tour. Poignant and personal, tracks like "Silhouettes of You," "Changing of the Guard," and "Person of Interest" find Harman moving through the stages of a breakup. She's heartbroken one moment, forever reminded of a relationship that's fizzled out, and empowered the next, eager to explore what lies ahead with emboldened purpose. Other tracks cast a broader net, with the stomping, percussive "Reformation" taking influence from Harman's work with Amnesty International. Backing her up are some of Nashville's best session players, whose contributions bounce between smoky, soulful ballads and brassy, Motown-tinged anthems. On an album that features performances by award-winning players like Tom Bukovac, Greg Morrow, and Gordon Mote — as well as a guest appearance by the Doobie Brothers' frontman, Michael McDonald, who lends his harmony vocals to the Seventies-worthy soul of "When We Were Young" — the most striking instrument is Harman's voice. It's an instrument that's been sharpened by her years on the road, and it's never sounded better. "I've learned how to express myself a bit better, and to convincingly put across the stories that I'm telling," Harman says. "It's a natural progression. My voice has matured, in the same way that the songs have matured, and the production has matured. I've only ever tried to be me, and that's what People We Become is. It's me."